Interested in Becoming an S.I.T.? First-year candidates should be rising Sophomores or Juniors in High School. Ultimately, this S.I.T. 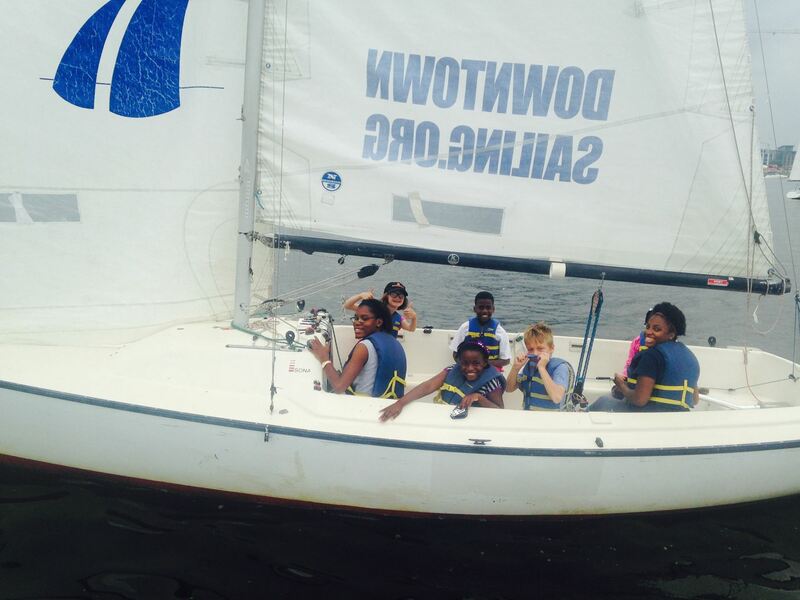 program will prepare you for a summer job teaching sailing to youth, persons with disabilities, and adults. S.I.T.s do not need to know how to swim; however, comfort on the water and in the heat and around kids is a requirement. Potential Employees should contact Stuart Proctor via 410-727-0722 (office), 443-794-5060 (mobile), or by email at stuart@downtownsailing.org to schedule an interview or find out more information. The typical entering S.I.T. class is a group of 10 youth, 15-17 years old; some people know each other and others do not. 1st-year S.I.T.s should be rising sophomores or juniors in High School. YouthWorks is 5 weeks of employment. Our program is 7 weeks, with the additional weeks paid by generous grants and foundation support. The workweek is 25 hrs/week, with week of July 16-20 @40 hrs. Work starts promptly at 9:30; those who arrive late or unprepared for work will not be paid for their missed time. YouthWorks Applications for enrollment are open from January 2nd through March 2nd. YouthWorks Interviews end March 23rd. YouthWorkers must be residents of Baltimore City. If you are a resident of Baltimore County, please contact Stuart at the office. S.I.T.s will be employees of Baltimore City and Downtown Sailing Center. For YouthWorks, employees will receive check-cards; for DSC, employees will receive paper checks. Dress code for special events is a collared shirt and chino or jean shorts/pants and tennis shoes. Dress code for normal work days is conservative athletic clothing, t-shirt and durable shorts with tennis shoes. S.I.T.s will have homework most nights and the work, while it is "learning to sail", is physical and sometimes physically challenging. We make a commitment to you - please make sure you commit to us this summer!